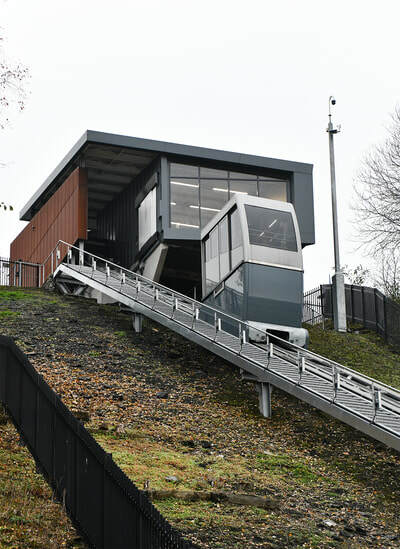 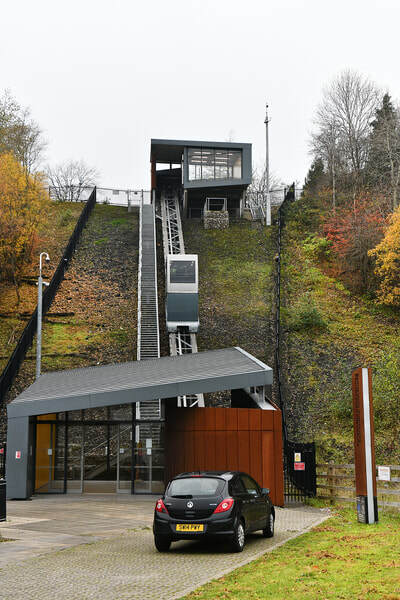 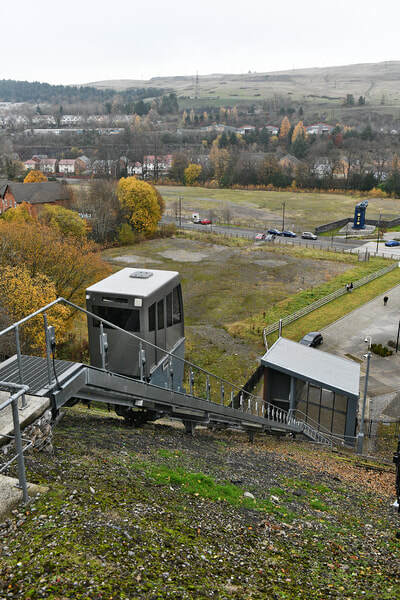 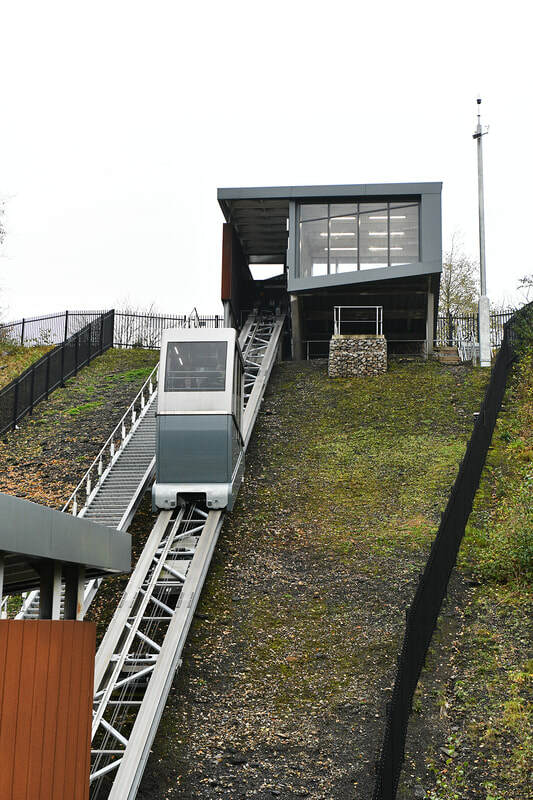 One of the more unusual forms of 'rail' transport, is this 'lift' located at Ebbw Vale in the Welsh Valleys. It runs for 140 ft linking the low level area of the collage and railway station with the higher level of the town centre. 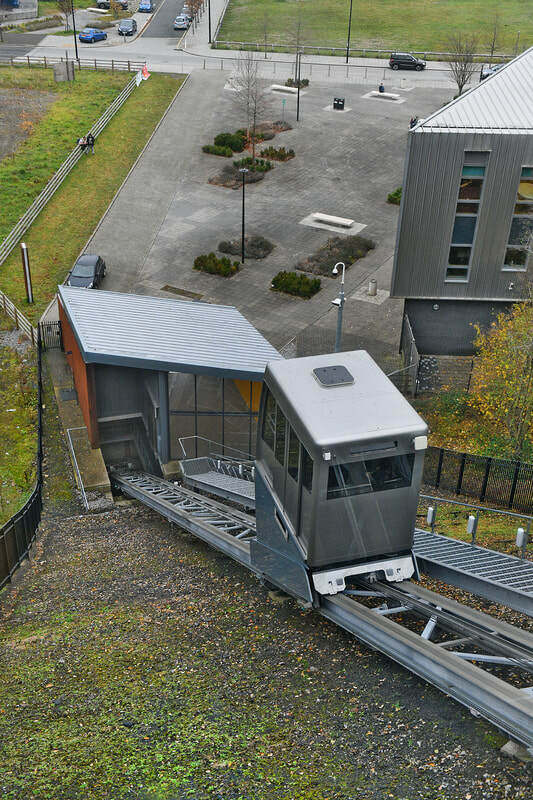 The single vehicle 'railway', officially called an 'incline elevator', operates like a normal building lift, with a call button at each end, which when pressed 'calls' the car to collect passengers. 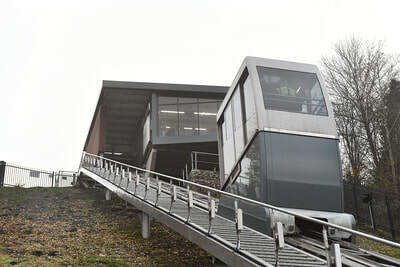 To avoid issues with people damaging the vehicle, an attendant rides on all services. 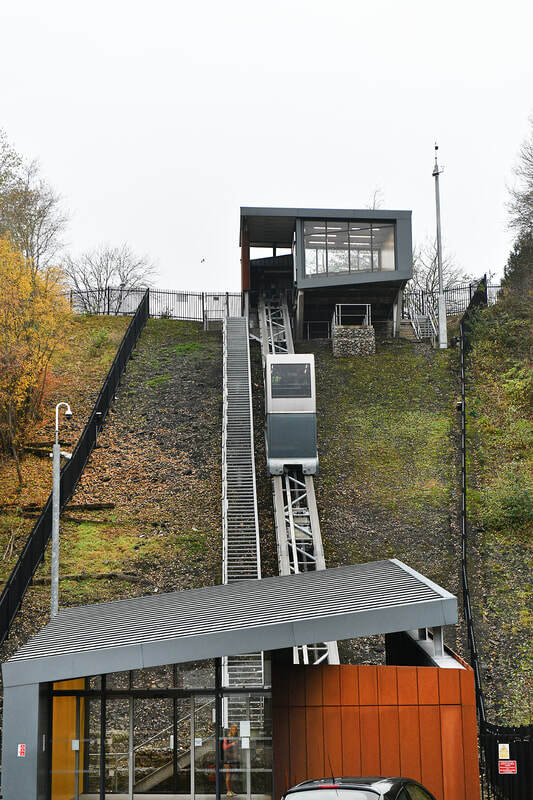 the lif opeates from 07.00-19.00 on weekdays. 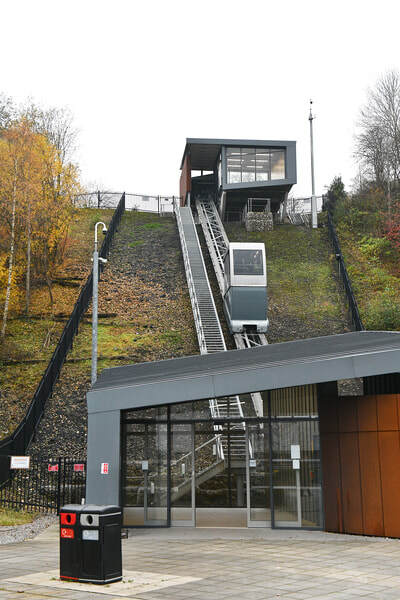 The journey takes just 20 seconds, it opened in June 2015 and cost £2.3million to build.